Contact: Email us at ryansaar1@hotmail.com. In case it wasn’t bleedingly obvious by the dodgy hotmail address, it’s just me doing this blog. I do it for fun when I get off work and uni, and there’s only so much time to read e-mails, so please don’t be offended if I don’t get back to ya. (OS) Burger, Sub Pop, Matador, Fat Possum, Drag City, In the Red, Goner, Richie Records, Amphetamine Reptile, SST, Uninhabitable Mansions, Telephone Explosion, Castle Face, Don Giovanni, Infinity Cat, Captured Tracks, Sacred Bones, Third Man, DFA, What’s Your Rupture?, Thrill Jockey, Sire, Famous Class, Hozac, Hardly Art, Gnar Tapes, 4AD, Domino, XL, ATP, Fat Cat, Heavenly, Rough Trade, Young Turks, Flying Nun etc. 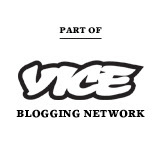 Soundly Sounds is part of the Vice Blogging Network (Party Time! Excellent!) http://www.vice.com/en_au/vbn. Soundly Sounds is also part of Hype Machine – someone put it on there, I don’t actually know what it means. How does one go about contacting thee? Hey there, can I suggest you do a sort of upcoming gig guide for Sydney. I would love to be able to find out about underground concerts etc etc. ever heard of vinyl williams? I have not! Any good? What kind of genre?